(AP) SACRAMENTO, Calif. - Authorities sought a motive Sunday after an assailant entered a Sacramento home and shot four people to death, police said. The suspect also was wounded and in critical condition. Officers who responded to reports of gunfire at the home Saturday night found three men and one woman dead, police spokeswoman Officer Michelle Gigante said. A fifth person, whom investigators identified as a suspect, was wounded, apparently by someone in the home who confronted him, Gigante said. Late Sunday afternoon, more than a dozen people gathered just outside of the crime scene tape that cordoned off the home and the entire block of the residential neighborhood of one-story homes. Television news trucks were parked nearby, while reporters looked on and children rode their bicycles and played in nearby yards. Authorities had still not released the names of the victims, but neighbor Mai Thao, who previously lived on the same block, said she knew the victims. "They're really nice people," she said. "They're always quiet and looked really happy." Two of the victims were described as shamans  spiritual elders  in the Hmong community. The suspect remained in critical but stable condition Sunday, Gigante said, but she declined to provide additional details. Investigators weren't sure if there were additional suspects. Police initially described the killings as occurring during a home invasion, but Gigante later said investigators don't know the motive. Authorities have determined that some gang members may have been involved and the attack "doesn't seem like it was random," Gigante said. The names of the victims have not been released. 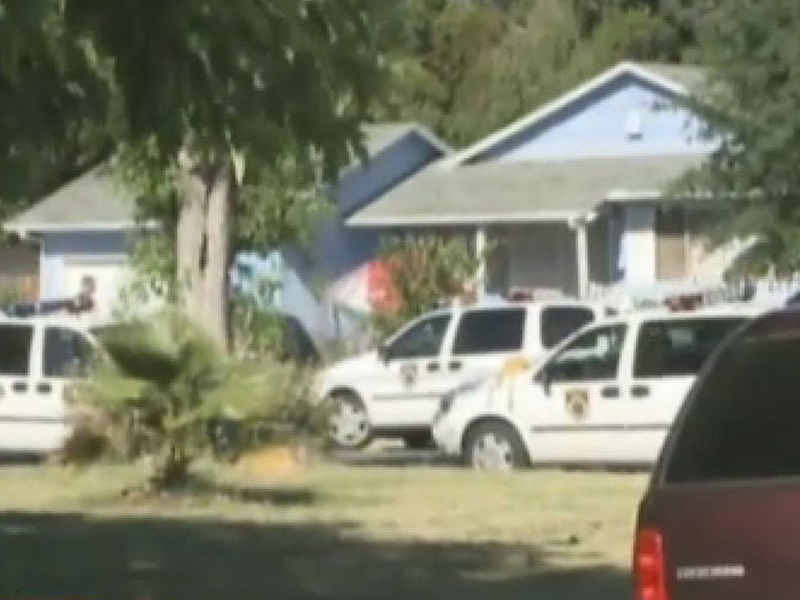 Two were residents of the home and two were what Gigante described as "guests." Police were asking members of the public who may have information about the shooting to contact them.